The model is my granddaughter, Ashley. 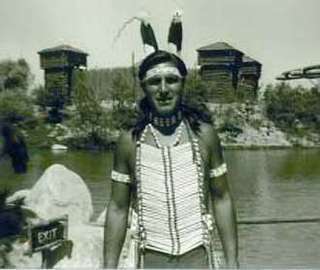 This is Eddie Little Sky - Many years ago, he was a dancer at the old Indian Village at Disneyland. Later, he became an actor. He was, and always will be, the inspiration for all my Indian heroes. Thanks to Amber Scott for sending me this photo of Eddie Little Sky. Hi ~ I often get letters from readers asking about another historical romance. I would really love to write one. In fact, I've started a couple, but after a few chapters, I seem to hit a wall. I don't know if it's because I've written so many, or if it's because I feel like I've done it all before. But, I'm still hoping that my Muse will strike and I'll saddle up and find my way back into the Old West, so keep your fingers crossed! Contains ~ Capture the Lightning, Catch the Lightning, Seize the Lightning, Reckless Destiny, Passion's Promise. Too good to be true! That’s what I thought when, after 31 rejections, I finally sold my manuscript to a book publisher. I never thought it would happen to me. And then came the day when an editor at Dorchester Publishing said she liked my book, but wanted another 10,000 words. Ten thousand words! Did she realize what she was asking? With trepidation, I re-read my manuscript, adding chapters, re-writing paragraphs, until, at last, I had come up with the required number of words. With hopeful heart, I mailed off my revised manuscript, and then the waiting began. No words have yet been invented to adequately describe the thrill of reading that letter of acceptance. At last, I was on my way to being a published author. I jumped up and down, danced a little jig, and literally shouted for joy as I read that coveted phrase, “We want to publish your novel…” Those few words more than made up for the numerous rejection letters I had received. As soon as I could speak coherently, I called all my favorite people and told them the good news. Their excitement added to my own. Today, years later, just thinking about that first letter of acceptance (and the advance against royalties that followed) has the power to thrill me all over again. So, if you’re still struggling to get that manuscript published, don’t get discouraged, and don’t ever give up. If it can happen to me, it can happen to you. A couple of my photos appear in this book on pages 18 and 19. 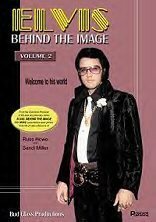 What a thrill, to have my pictures in an Elvis book!!! !